The collection of musicians known as Morphine held a special place in many fans and fellow muscians’ hearts as one of the most original, talented bands on the scene until the tragic death of lead singer and slide bass player Mark Sandman on July 3rd, 1999. Co-director Robert Bralver and producer Jeff Broadway join us this week to discuss how a personal connection led them to create their debut feature documentary Cure for Pain: The Mark Sandman Story. 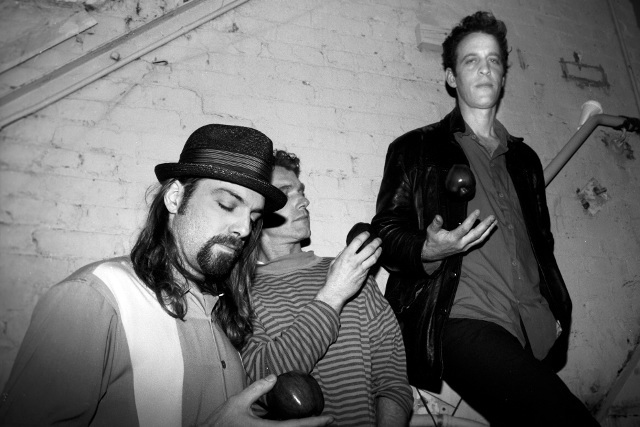 Cure for Pain: The Mark Sandman Story examines the life and work of Mark Sandman, deceased frontman of Boston “low rock” band Morphine. As a form, documentary filmmaking seemed like something that was more accessible to us.